Lord of War succeeds in portraying the ethical apathy and mercenary attitude that fuel the arms trade. Following the fortunes of an ambitious Ukrainian American entering this world ought to heighten the tension through personal stakes, but it unfolds in a fashion largely predictable to anyone familiar with crime drama. For such an extravagant character, Nicolas Cage’s performance is surprisingly muted, resulting in large swathes of the narrative being communicated in a flat voiceover monologue that lacks the energy of, say, The Wolf of Wall Street. 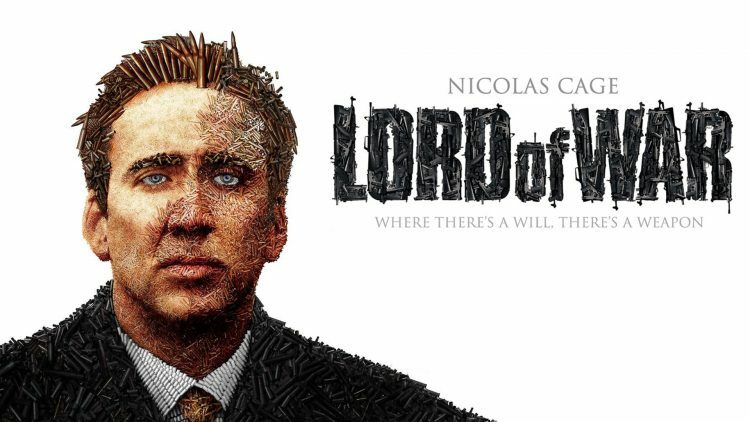 Whilst its subject matter is important, in focusing on Yuri’s competing conscience and ambition, Lord of War fails to engage in the political complexity of this world, simply alluding to the powerful connections he has made. The film is bookended by its most powerful messages: first, an impressive opening sequence that follows a single bullet from a munitions factory all the way to its eventual use against an African child; and secondly, presented in passing with closing text, the bleak fact that the world’s five largest arms dealers are the five permanent members of the UN Security Council.